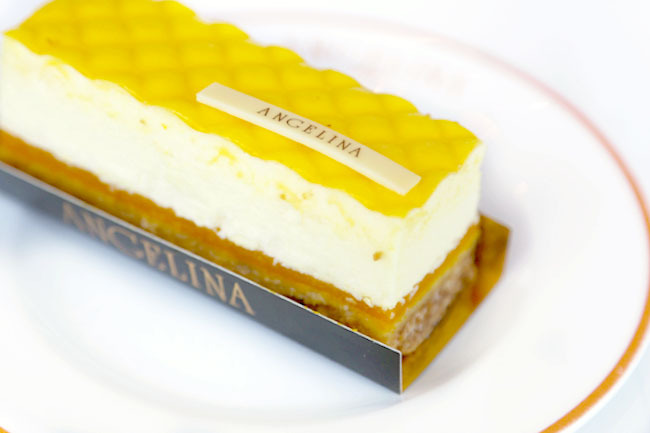 [Hong Kong] The luxurious Angelina has finally foot in Singapore at Capitol Piazza. 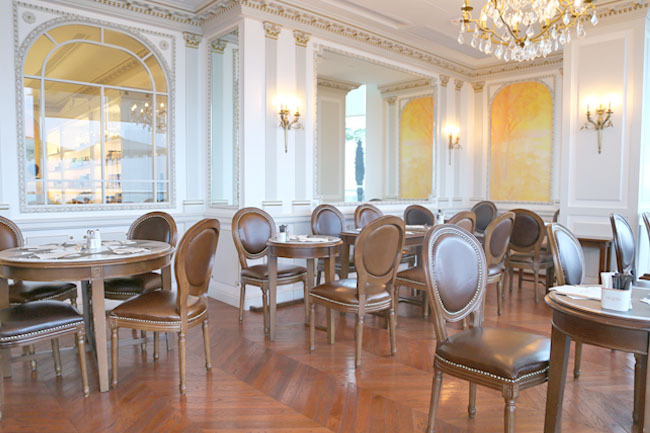 In Hong Kong, the Parisian tearoom has already a following, the type of place where the upper middle class and expatriates (or modern day tai-tais) would hang-out to enjoy a lazy afternoon. 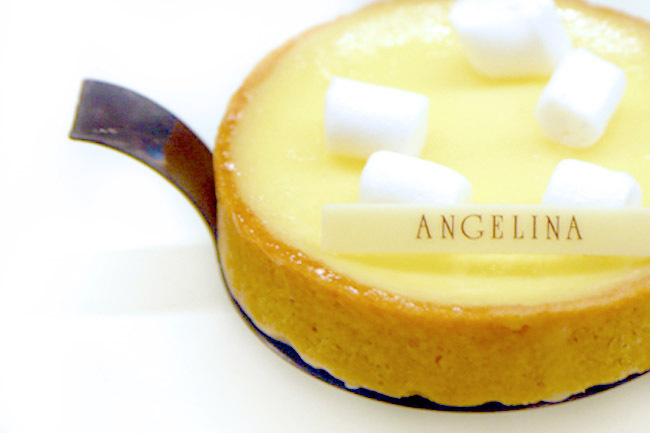 After all, Angelina is located within Lane Crawford of IFC Mall, popular for its mid-high end shopping. 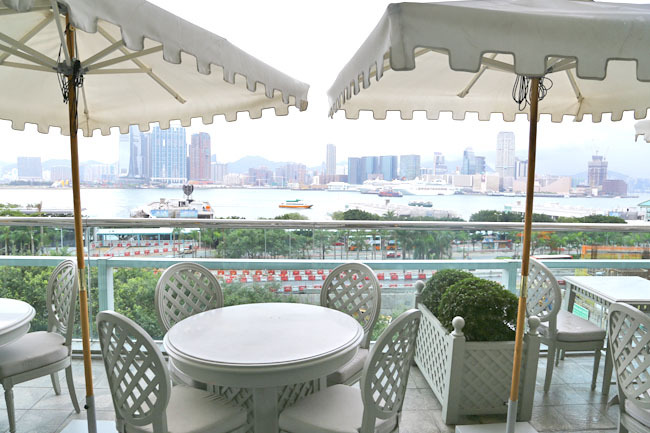 Its European interior is classy Baroque style, but what is more than impressive is its outdoor seating area, which provides a breath-taking view of Hong Kong’s skyline and harbour. Loved the scenery, but it could get cloudy grey at times. 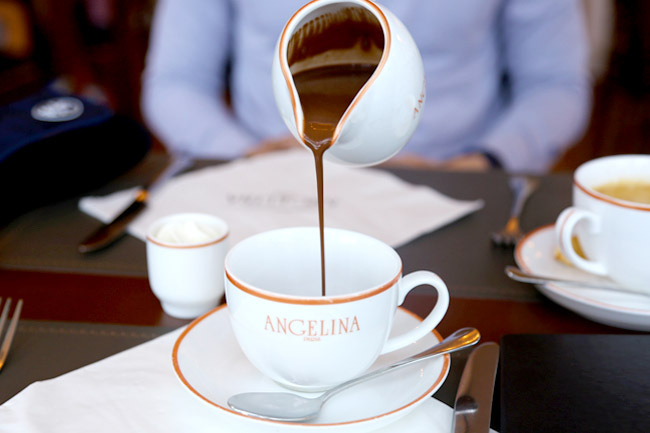 Angelina is named after the daughter-in-law of Austrian confectioner Antoine Rumpelmayer, established in 1903, a period where tearooms emerged in Paris as gathering spots. 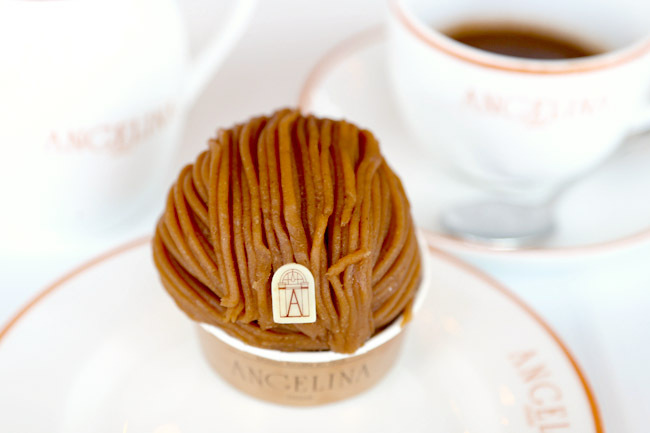 The Mont Blanc is covered by chestnut cream vermicelli, but as you dig further in, would discover smooth whipped cream and a light-crunchy sweet (or should I say very sweet) meringue base. Would I say I like it? Yes and no. The play and balance of textures was certainly what I appreciated, though I am partial to the Japanese style of Mont Blanc which is less sweet. I am a fan of hot chocolate, and the first sip of the signature “L’Africain” was to the point of astounding that my eyes went wide open. Though after a couple of minutes, the ‘hot’ chocolate would turn colder, and would lose those initial thrills. Good to know Hong Kong offers the iced version as well. The other recommendation pastries are the Eclair Chocolat, Choc Africain, Saint Honoré, Eclair Mont-Blanc, Tarte Au Citron, ranging between HK$72 to HK$90. Place is classy, price is classy as well.